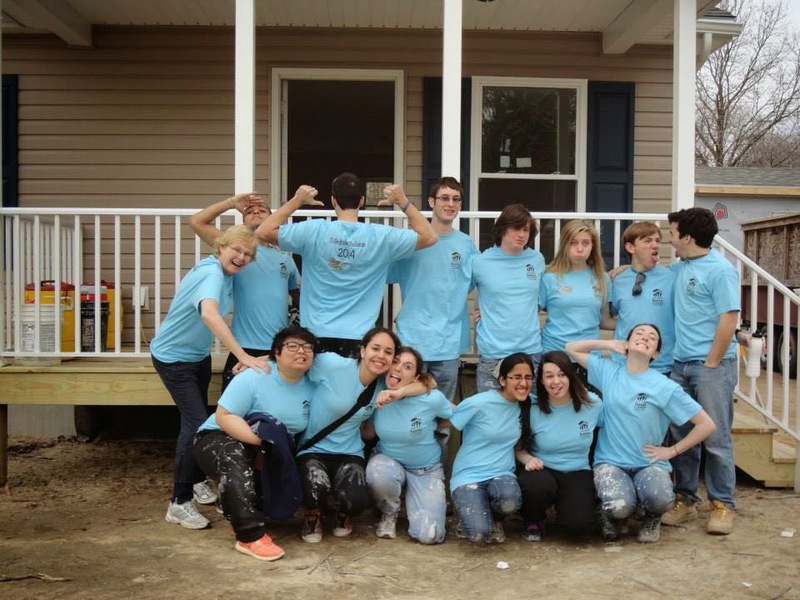 Thirteen members of Hofstra University’s Habitat for Humanity Campus Chapter spent their spring break volunteering with the Collegiate Challenge program. 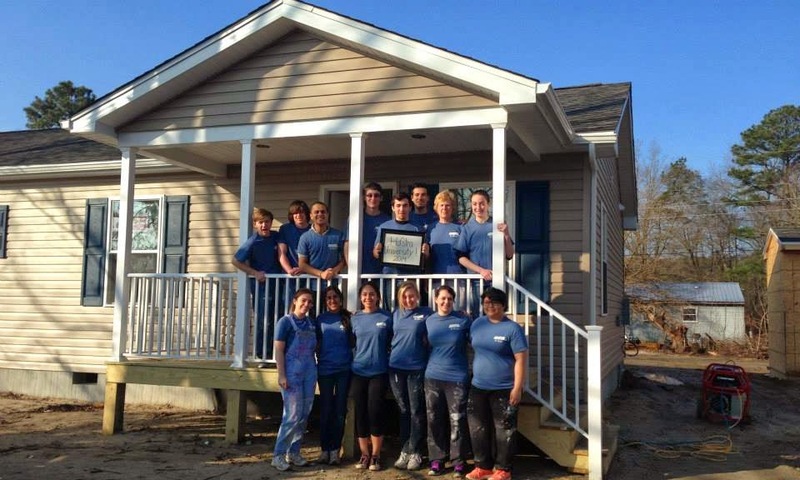 They went to Sussex County, Delaware, for the week to help build two new homes. 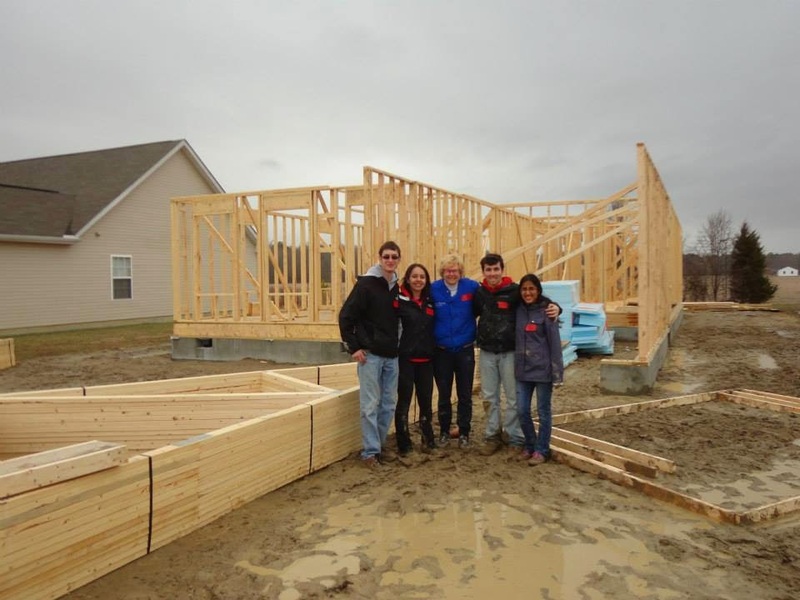 Some students were able to frame a few walls of a house that was just beginning construction. Other students were able to put siding on a shed, paint walls, hang doors, plant grass and lay tile at a different location. Everyone on the trip learned new skills and had a really great time! They stayed in the basement of a Church and got to know the parishioners. The Collegiate Challenge team was blown away by their hospitality and kindness. The parishioners cooked dinner and breakfast for them, and one even gave the crew an impromptu performance and lesson on the Church’s organ. One night Hofstra’s team worked together to cook dinner and have a taco night. Another night became a karaoke and air guitar concert. There was not a single moment of the trip when the students were not laughing. Each student took away from the trip a sense of pride that they were able to make a difference for this family. They also came back with a renewed interest in serving others. The affiliate informed the students that the family has three small children that will soon call that house a home. It was easy to imagine the kids running in their new backyard, or living in the bedrooms the crew painted. The Collegiate Challenge team would like to thank everyone who donated to help make this trip possible. They would especially like to thank their amazing advisor, Terry Greis, who gave up a week of her own life to accompany them on this adventure.